It's the middle of January so you know what that means! It's time for retailers to start planning their Valentine's Day decor for February 14th. For starters, consider that jewelry sales are always at an all time high for Valentine's Day. With this being said, it is imperative that your jewelry displays and corresponding decor are equally as appealing to help get shoppers in the mood. If your optimizing your Valentine's day displays, you've probably focused on the main jewelry focal points which will probably boast a diamond necklace resting atop a faux velvet necklace display. 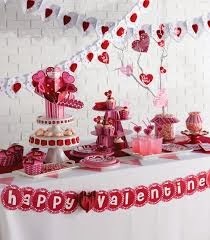 If have other items being sold besides jewelry then we suggest going the extra mile to incorporate banners, posters, and pink and red hearts. Another great option for little Valentine's Day is adding more shelves and wall units which is an easy way to incorporate decor onto the walls. Give your jewelry display more pop and festivity you'll want to take more effort in ensuring that consumers will stop and admire your product. We recommend using pinks and reds to help draw the most attention possible. For items to sell during this romantic time, small heart shaped jewelry boxes are always charming, also boxes of chocolate, jewelry, and flowers always bring smiles to every girls face. Cards and chic wrapping will always be another Valentine's Day staple. You can incorporate ribbons, wrapping, stamps, and raffia for a festive polished look from inside and out.